The 60 Serving Gluten Free Entrée Bucket by Legacy Premium is a fan favorite, especially among those with special special dietary needs. Standing alone in the food storage industry, Legacy Premium gluten free entrées taste delicious, last for 25 years and are free from wheat and gluten allergens. Certified Gluten Free! 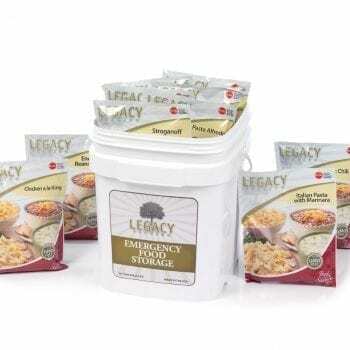 Click here for details of Legacy Food’s gluten free claims. 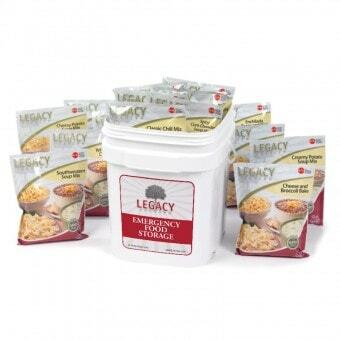 Equipped with Legacy Premium’s 60 Serving Gluten Free Entrée Bucket, you ensure that even those members of your family with special dietary needs will have food in an emergency. 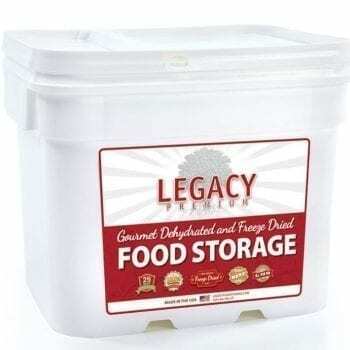 This comprehensive food storage supply is made up of 60 servings’ worth of freeze dried meals, including 10 different gluten free entrees. Each of these meals is completely free of gluten and is safe for those who suffer from Celiac disease, wheat allergies, or gluten sensitivities. See Legacy/Honeyville’s letter of certification here.